It’s Friday, a day that ends in "y." You know what that means? That means it’s time for another celebrity to say something incredibly stupid. He’s a talented singer, with a history to prove it: 30 million records sold, 5 Grammy awards and a record label of his own. He’s also apparently an idiot. In a cover story interview for the July issue of Vibe Magazine, Usher went on record to defend his marriage to Tameka Foster, for which he’d taken some heat. Usher’s statement implies all sorts of problematic things. 1) “Women are dying for men” = Women are running out of men to choose from. What, are you kidding me? This is just ridiculous. According to the UN’s population data (published December 2007), in many countries women are still statistical minorities (the number of women for plenty of countries is in the 90s per every 100 men), and even in countries where we are not statistical minorities, we ain’t that far ahead (in the US, there are 103 women for every 100 men, the UK 104 per 100, and Canada is 102 per 100). It’s not like we’re outnumbering men 2:1. 2) “As a result of not having enough men” = Female sexuality is primarily defined by women’s interaction with men. 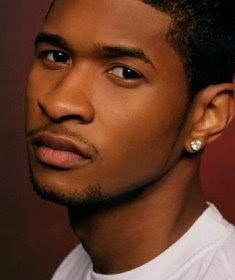 So basically, Usher believes that women are, first and foremost, destined / designed for sexual interaction with men. And lacking that, we turn to each other as a last resort, a second-best interaction that implies desperation and can’t possibly be as satisfying as sexual interaction with men. Which, again, ridiculous. Lacking scientific data, I’d have to rely entirely on anecdotal evidence – but I could find a ton of it to support the idea that lesbian and bisexual women derive much satisfaction from their female sexual interaction. 3) “Women have started to become lovers of each other…” = Sexuality is a choice, not an orientation. Ok, I’m not going to argue the science of this, for several reasons (one of which is that I’m not a scientist). But I understand enough about gender and queer theory to honestly believe that sexual desire and physical attraction are chemical, hard-wired, and unchangeable. I happen to have the fortune (whether it’s good or bad depends on the company I’m keeping, really) of being attracted to both men and women. My lovely and talented girlfriend Donna, however, has never once in her life found herself sexually attracted to a man. She has developed friendships with some incredible men – Mike, Andy and Sam, to name a few – but she is not attracted to any of them. And I am 99.99% certain that it will never happen. That 0.01% chance? I’m leaving it open for the transperson who might catch her eye, as I think there might be some wiggle room there. But basically, Donna alone blows Usher’s “not born that way” implication. 4) “Black love is a good thing.” = Let’s continue with ethnocentrism. Don’t misinterpret: I totally understand why defining and living one’s own culture is important and necessary. I understand the imperative nature of celebrating personal differences. But the implication here is that interracial relationships are threatening to distinct communities, and that blending cultures is a bad thing. This is the kind of attitude that teaches people we can each have only one social identity – and for God’s sake, it better be the right one. 5) “Black love is a good thing.” = It’s up to black men to fix this problem of our women going out and being lesbians. So it’s no secret that, while most cultures breed a certain amount of homophobia, certain cultures are more homophobic than others. In Latin and African-American communities, in particular, queer people have a difficult time coming out because of the ever-present and openly expressed homophobia. There’s a certain machismo required of the men (and likewise a certain femininity required of the women) in these communities that doesn’t allow for alternative gender or sexual expressions. Usher’s statement here displays this sort of caveman mentality: “If we just stick to our own culturally approved gender and sexual roles, we can fix this problem of our women going out and being all lesbian and stuff.” Which, again, throws back to female sexuality being defined by women’s interactions with men – as if our sexual expression is something that men can change. 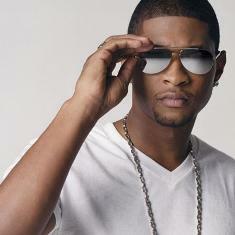 Do I think that Usher is racist? No, actually. I think he just doesn’t think about context. Do I think he’s sexist? Probably, at least a little – sexism is, after all, much more readily accepted and propagated in this country than racism. And do I think he’s homophobic? Again, maybe a little: I’m going to guess that he has less of a problem with two women together than with two men, though he probably won’t bother to say much about it. Do I think he’s incredibly insensitive? Yes. Definitely. At the very least, I wish he would think about the words that are coming out of his mouth. Astonished that a pop star is brainless? Really? Have you been paying attention for the past, oh I don’t know, twenty years or so? Millions of album sales and grammy winnings do not a talented person make. Apparently he’s lucky he’s had the right publicity because his brains weren’t going to get him anywhere in life. I never said I was astonished. I’m really, really not. I’m disappointed. And I think he is a talented singer – you can use a great PR team all you want, but singing poorly won’t get you a Grammy. p.s. you can sing poorly if you have a good producer behind you. The studio can do wonders for poor musicians.